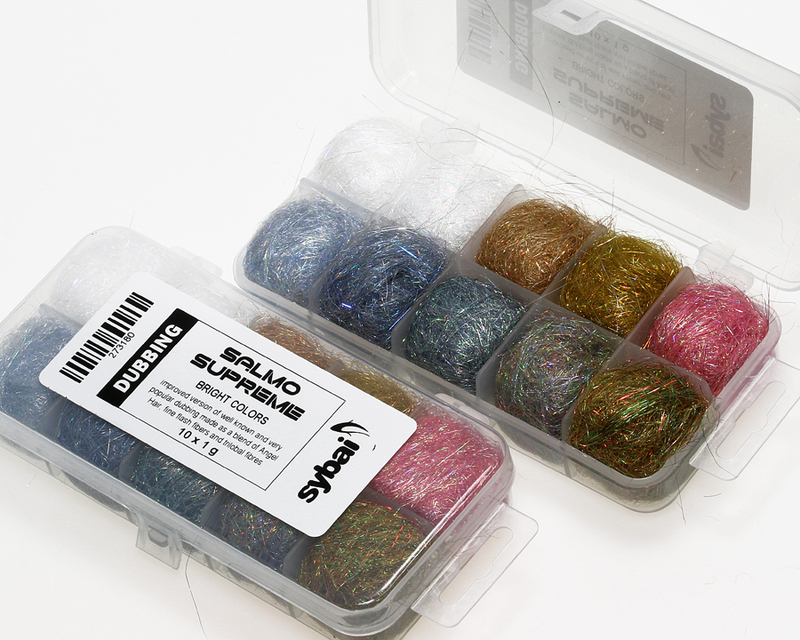 Improved version of well known and very popular dubbing made as a blend of Angel Hair, fine flash fibers and trilobal fibres. Thanks to the very wide colour spectrum it can be used not only for salmon and steelhead flies, but for freshwater streamers as well. The fiber length is up to 70 mm.